Neenah, WI - Paul Schwartz, formerly vice president of information technology for J. J. Keller & Associates, Inc., is now vice president of technology solutions for the company. As the VP of technology solutions, Schwartz will lead the teams responsible for designing, building, and implementing J. J. Keller’s cloud, mobile and hardware-based commercial solutions. 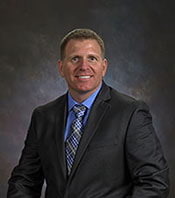 Schwartz was the vice president of information technology since January 2015, leading the corporate technology infrastructure and business applications teams. During this time, the Information Technology Department significantly expanded J. J. Keller’s SAP capabilities and streamlined the company’s cloud-based technology, all while maintaining a wide range of critical internal systems. “We look forward to Paul’s continued leadership as we develop an increasing number of technology-based solutions to meet our customers’ changing safety and compliance needs,” said Rustin Keller, executive vice president and chief operating officer for J. J. Keller. Before joining J. J. Keller, Schwartz spent 13 years as the director of information systems for a logistics and transportation company, where he and his team supported over 40 facilities across the country. In this role, he also worked directly with clients by managing relationships to ensure profitability for all parties. Schwartz holds a bachelor’s degree in psychology from the University of Wisconsin-La Crosse and a master’s degree in information systems from Lesley University in Cambridge, Massachusetts.